Newcastle Sinn Féin Councillor Willie Clarke claims a unique opportunity exists to develop sea angling in the new council, by improving infrastructure, improving access and supporting the rejuvenation of coastal species. He believes a strategic sea angling strategy needs to be developed from Strangford Lough to Carlingford lough, in order to unlock the social and tourism potential that exists. Cllr Clarke said: “The potential for job creation in recreational sea angling in the North of Ireland is unrealized, even though studies that have been carried out by Pricewaterhouse Coopers have identified the economic impact in the North of Ireland as almost £7·4 million in 2005, with an average annual spend by each sea angler of £1,459. “Under the best projections from PWC, that is estimated to rise to £23·1 million in 2015. The Department of Agriculture and Rural Development (DARD) also carried out an inshore fisheries review in 2006, and the recommendations on improving and developing sea angling have not been acted on. We need to work in partnership with DARD to improve sea angling in South Down, this should include the creation of artificial reefs which will improve the habitat for juvenile sea species and would also attract specimen fish, they would also provide excellent opportunities for divers.“I previously brought forward a motion at Down District Council to investigate the creation of an artificial reef, this was supported by all parties, but was never implemented by council officers. There will now be an opportunity for the new council to revisit this by developing a sea angling strategy for the new council. 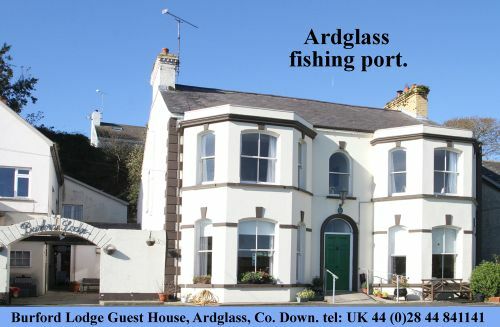 Along the coast of Down from boat and shore there is a wide range of species to be caught at different stages of the year such as pollack, ling, cod, mackerel, whiting, haddock, pouting, various flatfish species such as rays, plaice, turbot, brill, megrims. sole, and conger eels, tope, and wrasse.